Students who wish to transfer to other institutions should contact the Registrar at that college or university for information about transferability of credit. 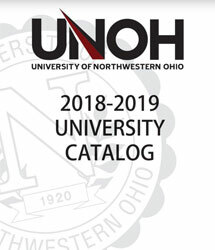 Students who transfer from an institution of higher education that is accredited, regionally or otherwise, must have an official transcript of their courses sent directly from their original institution to the Office of the Registrar at the University of Northwestern Ohio for evaluation of credit. Transcripts issued to students will not be accepted. Credit may be granted for comparable course descriptions and credit hours in which students have received a grade of C or better. Computer and other technical courses will need to be retaken if not taken within a recent time period, usually three years. Depending upon any deficiencies in Math and English, additional courses may be required. Transfer credit cannot be used to replace courses that have been previously attempted at the University of Northwestern Ohio. Grades are not transferred. Students who have attended an institution that is not regionally accredited but is accredited by organizations recognized by the Council for Higher Education Accreditation (CHEA) and/or the US Department of Education, or institutions recognized as candidates for such accreditation, may be granted transfer credit based on evaluation of the courses and the successful completion (2.00 cumulative GPA) of one quarter of full-time work in the following colleges: College of Business, College of Health Professions, or College of Occupational Professions or two sessions in the College of Applied Technologies. The transfer credits will be recorded on their permanent transcripts when a 2.00 is achieved. A maximum of 135 quarter hours for baccalaureate degree programs, 81 quarter hours for associate degree programs and 54 quarter hours for diploma programs may be transferred from other institutions. Students who have earned an appropriate associate degree from an accredited institution can transfer 90 hours into the 2+2 baccalaureate courses with junior status. Students who have not earned an associate degree will have their transcripts evaluated on a course-by-course basis. Generally, a maximum of 20 credit hours will be transferred into the general education component of the associate of applied science degree. Students in the College of Applied Technologies may take proficiency exams for three general education courses. Diploma students are required to complete their general education course requirements through the University of Northwestern Ohio. MBA students may transfer in a maximum of 8 credit hours from a graduate program at another regionally accredited institution. 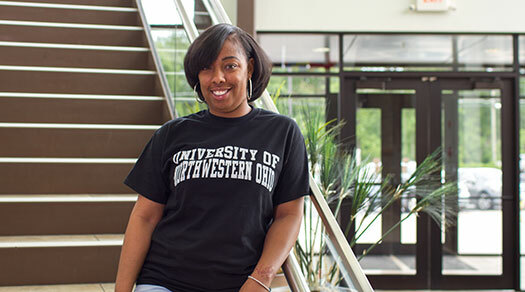 Students in the MBA program must complete 40 quarter credit hours with the University of Northwestern Ohio. In order to receive credit for transfer courses, the student must have earned an average grade of B or better in graduate courses. However, no grades are transferred from other colleges or universities. Proficiency exams may be taken by all students - Traditional and Online. Students should contact the Registrar's Office for currently available courses and fees. For more information, please see the Proficiency Exams section in the Academic Affairs section of the University catalog.